A special edition of Question Time, the BBC's premier political programme, will be in Moscow on Thursday, 30 March 2006. David Dimbleby will be joined for the interactive debate by chess champion-turned-politician Garry Kasparov, British foreign minister Douglas Alexander MP, Russian deputy foreign minister Grigory Karasin, economist Andrei Illarionov, Natalia Narochnitskaya of the Motherland Party, and industrialist Igor Yurgens. Career: Chess legend Garry Kasparov chairs the group "Committee 2008 - Free Russia" which is strongly opposed to President Putin. 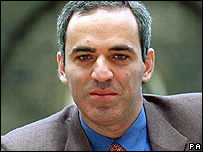 Mr Kasparov qualified as a grandmaster in 1980 at the age of 17 and won his first World Championship title in 1984 which he held for 15 years. He has written several books and has gained international recognition as a prominent spokesman for political, educational and social reforms in Eastern Europe. 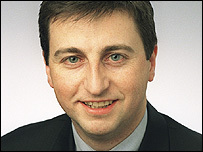 Career: Douglas Alexander is the British foreign minister for Europe with responsibility for Russia. He joined the Labour Party at 14 and began his career as a speechwriter for Chancellor Gordon Brown. He qualified as a lawyer and won his seat in 1997. Since entering Parliament he has been minister for trade and industry and minister for the Cabinet Office, before joining the Foreign Office. Mr Alexander attends Cabinet meetings and was in Moscow last month for bi-lateral talks at the Kremlin. Career: Grigory Karasin is considered one of the most senior and distinguished members of the Russian diplomatic service. 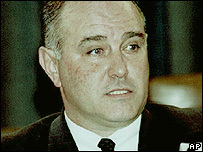 He was appointed the Russian Ambassador to Britain in 2000 until 2005. Last July, he was appointed deputy minister of foreign affairs by President Putin. Career: Andrei Illarionov is the president of The Institute of Economic Analysis in Moscow. After President Putin took office in 2000, Mr Illarionov was made his senior economic adviser and Russia's representative to the G8. In December last year he resigned this role, saying Russia "was no longer a democratic and free country". 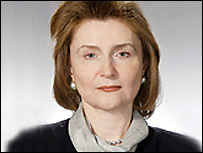 Career: Natalya Narochnitskaya is a member of the nationalist Motherland Party in the Russian Parliament and the Duma. She is also the deputy speaker on the Foreign Affairs Committee. She recently said: "The time has long been ripe to reconsider the interpretation of world politics in the 20th Century as a fight between the liberal West and Communist USSR." Career: Since 2001 Igor Yurgens has represented and promoted the interests of the Russian business community both nationally and internationally. 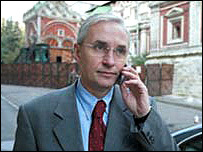 A graduate from Moscow State University, he has been an advisor to Unesco and The Trade Unions Council. 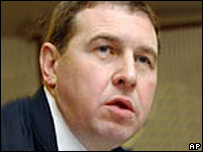 In 1996, he was chairman of the General Confederation of Trade Unions.